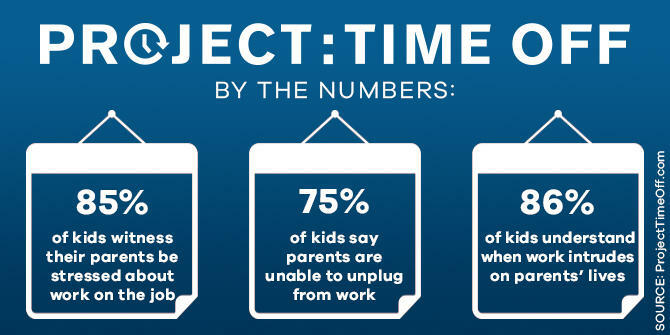 Fifty-four percent of Americans leave vacation time on the table and the impact can be seen in the effects it has on the next generation. Project: Time Off is here to help. The statistics are startling and paint an explicit picture of how busy work seems to keep people. 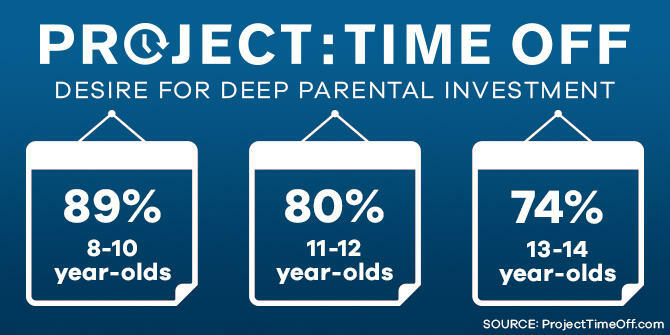 Rather than putting emphasis on work after hours, work instead to teach your children the value of time off. Make family trips educational – 80 percent of people who took trips between the ages of 12-18 said travel made them more interested in what they learned in school. Work to create lasting memories – 62 percent of adults say their earliest memories stem from trips taken between the ages of 5-10. Plan family vacations and short trips on National Plan For Vacation Day (Jan. 30) to ensure you make and take the time – only 19 percent of kids say they’re happy on a daily basis, but that number skyrockets to 60 percent when parents take time off work to spend time with them. No matter the age, children seem to want their parents to be deeply invested in their lives and prioritize them above outside forces like work, even though there is a small decline as they grow up. According to family and marriage counselor Michael Gurian, teenagers are especially in need of those “family story” moments to maintain a stable environment through puberty. This can lower the risk of them developing a drug or alcohol habit or getting involved in crime. The easiest way to create memories and form those lasting bonds with your children is to plan and take a vacation. Whatever barriers you see standing in front of your plans for vacation, they are easily overcome by taking the time to participate in National Plan For Vacation Day (Jan. 30). Don’t become a statistic. Remember, you are the ultimate example for your children. If they see characteristics of a work martyr, they are more likely to be one when they grow up. Need some help getting started on your vacation plan? 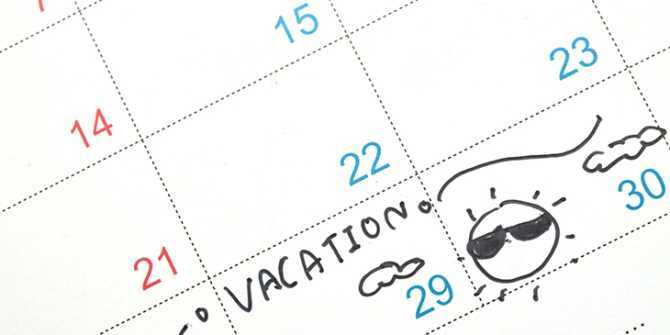 Share this information with your employers and explain the importance of time off within your office and use the Vacation Planner Tool below to calculate your days off.